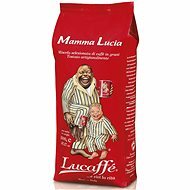 Lucaffé Classico is a coffee that is loved by vast numbers of people and receives great critical acclaim worldwide. It is often written about on internet forums, especially in Western Europe. In our country, this brand is really making a name for itself in the world of coffee. 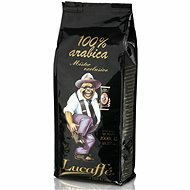 All Lucaffé coffee blends are typical examples of Italian slow-roasted coffee with gentle calcination in rotary drums, giving the coffee a pleasant but distinctive taste with subtle tones of sweet roasted chocolate. Slow roasting helps to significantly reduce the bitter flavours and substances in coffee. 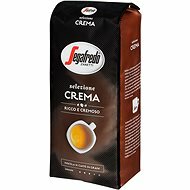 The special roasting method makes Lucaffé Classico coffee very suitable for coffee lovers who sometimes suffer from indigestion, bloating, heartburn, GERD, or IBS. With Lucaffé Classico, the risk of stomach irritation is essentially eliminated. Lucaffé Classico is very pleasant to drink, with a slightly sweet taste, soft body and medium crema. Due to its great properties and pleasant taste, it is best suited for preparing cappuccino and latte macchiato. Mixture of different origins Done! 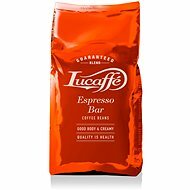 For shipping to other EU countries visit this page Lucaffe Classic, coffee beans, 1000g. Chcete doručit zboží do Česka? 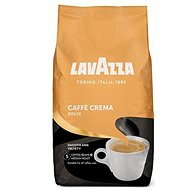 Prohlédněte si Lucaffe Classic, zrnková,1000g. Chcete doručiť tovar na Slovensko? 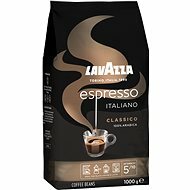 Prezrite si Lucaffe Classic, zrnková, 1 000 g. Für Versand nach Österreich, besuchen Sie bitte Lucaffe Classic, Bohnenkaffee,1000g. Magyarországra történő kiszállításért tekintse meg ezt a termékoldalt: Lucaffe Classic, kávészem, 1000g.